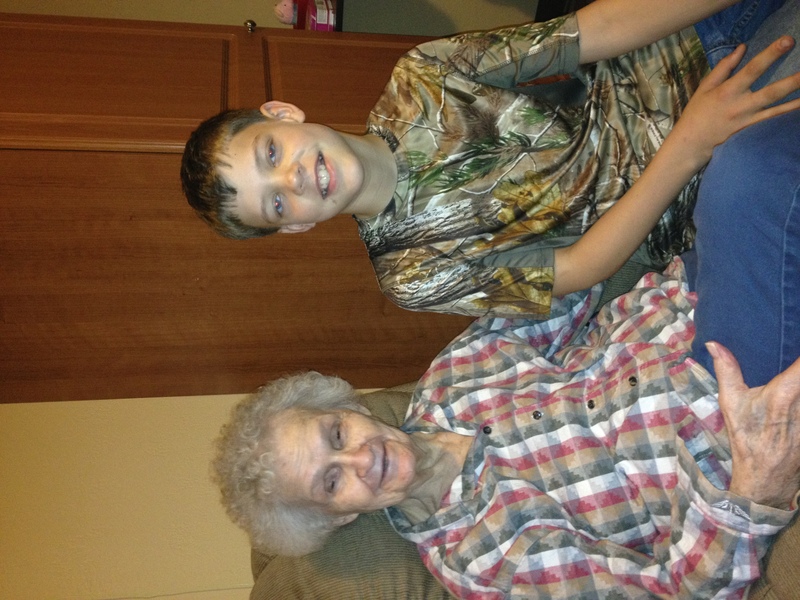 November has passed by fast and furious for the residents of Hemphill Care Center. The month has been filled with all kinds of fun activities, which has made the days here brighter for all of us. During the first week we were very busy with all kinds of activities provided by Fairdale Baptist Church, Bethel Chapel Baptist Church, Quincy Martindale from Odyssey Hospice, the Church of Christ from Hemphill, Community Fellowship Church, Carletta from Texas Home Health and Mary Lou Zingle. Friday afternoon our activity department treated us to delicious nacho’s. The highlight of the week was the 98th birthday party for Clement McDaniel that was given by his family and friends. The volunteers that came and blessed us during the second week were Hemphill’s Church of Christ, Lakes Area Hospice Clowns, Fairdale Baptist Church, Marissa from Jordan Health Services, the domino guys from the LDS church, our craft ladies (Carol and Linda), Little Flock Baptist Church and Hemphill’s Garden Club Ladies. Our highlight of the week being Veterans Day, in which we honored our veterans: James Patterson, Ruthie Malone, Louis Scott, Jerry Fields, Billy Lewis, Jesse Allen, Clement McDaniel, Shirley Sullivan and Shay Felts with a special celebration. We are so thankful for the people that came by during the 3rd week to bless us in their own special ways. Parkway Baptist Church, Fairdale Baptist Church, Bethel Chapel Baptist Church, The Pineywoods Pickers, First United Methodist Church, Hemphill’s Church of Christ, Community Fellowship Church, Carletta with Texas Home Health, Marti Bible, the staff of HCC for providing the pumpkin pies we enjoyed that Friday. Our volunteers are the lifes blood of our home and we appreciate them so much. The highlight of our week was a wonderful surprise from the First Baptist Church’s preschool children who stopped by to sing us a few sweet songs. They were so cute! We were busy the 4th week getting geared up for Thanksgiving! The activities during that week were provided by Hemphill’s Church of Christ, the VFW Ladies Auxiliary Post 10351, Fairdale Baptist Church, Bethel Chapel Baptist church, Sandy Trahan, and C.J. Michaels the One Man Band. We enjoyed them all so much. 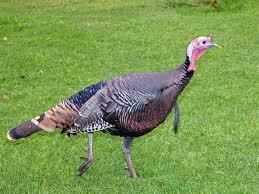 Of course the highlight from last week was Thanksgiving Day. We all took the time to give God thanks for His bountiful blessings on us this year. 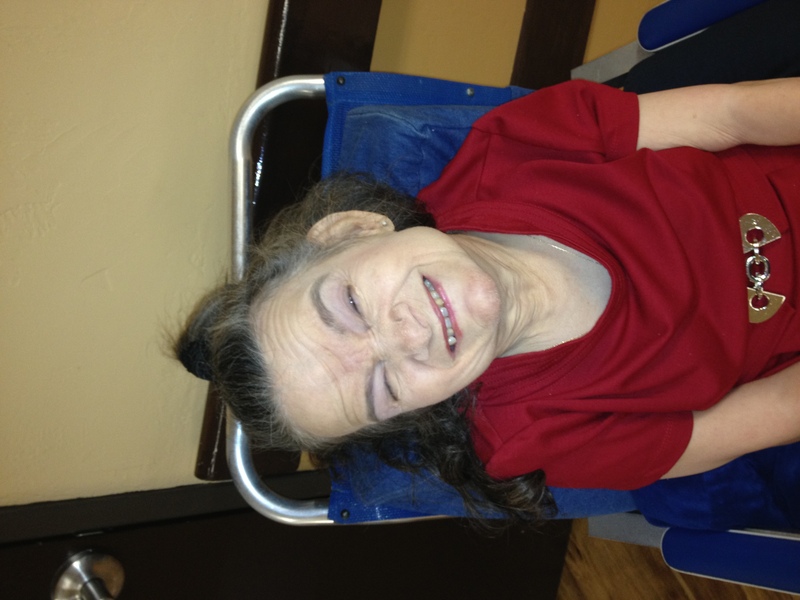 The residents are so blessed to call Hemphill Care Center home. We say thank you to all the volunteers and staff here that make our lives here happier. Wrapping up the month we had visits from Parkway Baptist Church, Fairdale Baptist Church, Bethany Baptist Church, Hemphill’s Church of Christ and Tiffany Harris, our social worker, who also treats us to a monthly Birthday Party every month. We would like to congratulate Dodie Roberts who was voted as our volunteer of the month, Bobbie Gross our resident of the month and Rose Sparks & Pat Bradberry as our employees of the month. Happy Birthday wishes this month go out to: Clement McDaniel, Doris Maddox, Laura Lane, Barbara Briggs, Lavern Mayo and David Ener! We extend our deepest sympathy to the family and friends of Jasper Russell, who lost their loved one this month. Until next week, God Bless and try to enjoy a “Life on the Bright Side”. At the Second Continental Congress, after the thirteen colonies voted to declare independence from Great Britain, the colonies determined they needed an official seal. So Dr. Franklin, Mr. J. Adams, and Mr. Jefferson as a committee prepared a device for a Seal of the United States of America. However, the only portion of the design accepted by the congress was the statement E pluribus unum, attributed to Thomas Jefferson. 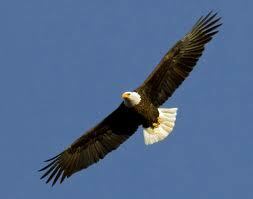 Six years and two committees later, in May of 1782, the brother of a Philadelphia naturalist provided a drawing showing an eagle displayed as the symbol of “supreme power and authority.”Congress liked the drawing, so before the end of 1782, an eagle holding a bundle of arrows in one talon and an olive branch in the other was accepted as the seal. The image was completed with a shield of red and white stripes covering the breast of the bird; a crest above the eagle’s head, with a cluster of thirteen stars surrounded by bright rays going out to a ring of clouds; and a banner, held by the eagle in its bill, bearing the words E pluribus unum. 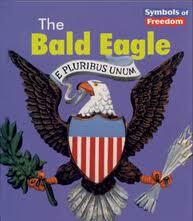 Yet it was not until 1787 that the American bald eagle was officially adopted as the emblem of the United States. This happened only after many states had already used the eagle in their coat of arms, as New York State did in 1778. Though the official seal has undergone some modifications in the last two hundred years, the basic design is the same. While the eagle has been officially recognized as America’s national bird, there have been dissenters who feel the bird was the wrong choice. With the negative connotation connected to being called “a turkey”, aren’t we glad we ended up with the eagle as our national emblem? Ben Franklin may have been correct regarding his evaluation of the turkey, but he must not have raised any, or he would have known that turkeys are not the brightest birds that ever came down the pike. In fact, they are so stupid, they will stand out in a rain storm with their heads up and mouths open until they drown. On the other hand, looking at the actions of the Obama regime, maybe a turkey would have been a more appropriate symbol for us during this time in history. KALISPELL, Mont. 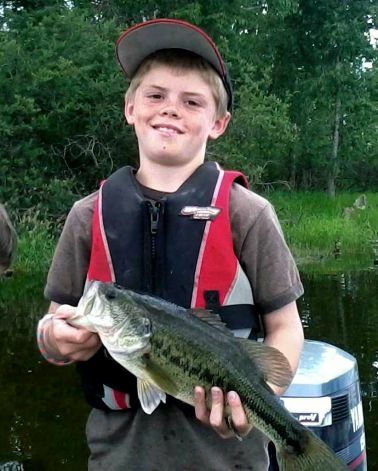 (AP) — A 10-year-old Montana boy fishing with a rubber worm caught a largemouth bass that state wildlife officials say could be nearly twice as old as he is. Montana Fish, Wildlife and Parks biologist Mark Deleray says the largemouth bass caught and released in a Flathead River slough by Garrett Frost could be as much as 19 years old. Deleray says that may be the oldest largemouth bass on record for Montana. The Kalispell boy caught the fish July 16 in Rose Creek Slough. Deleray says the fish was 20 to 22 inches long and weighed about 3.5 pounds. 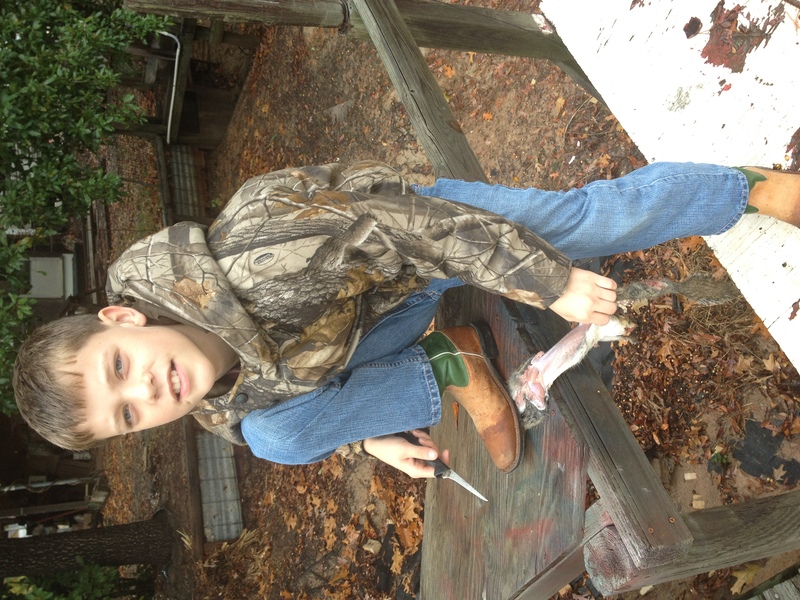 Garrett removed a tag that had been placed on the fish in 1997 before releasing it. Biologists estimate the fish was 5 years old when it was tagged, based on the fact that it was just over 14 inches long and weighed 1.5 pounds. 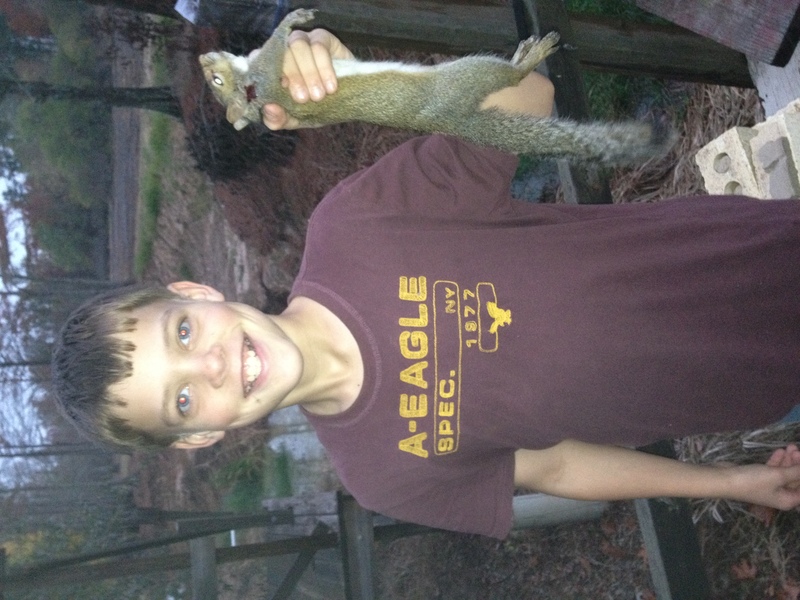 OK, that is enough for ‘squirrel dumplings’. 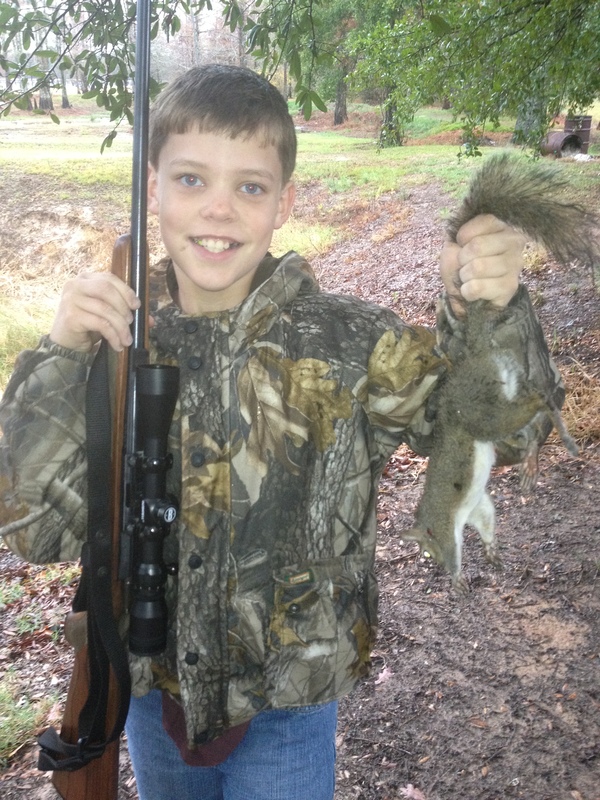 I wish you could come to my house to kill a few squirrels. We are being overrun with them. 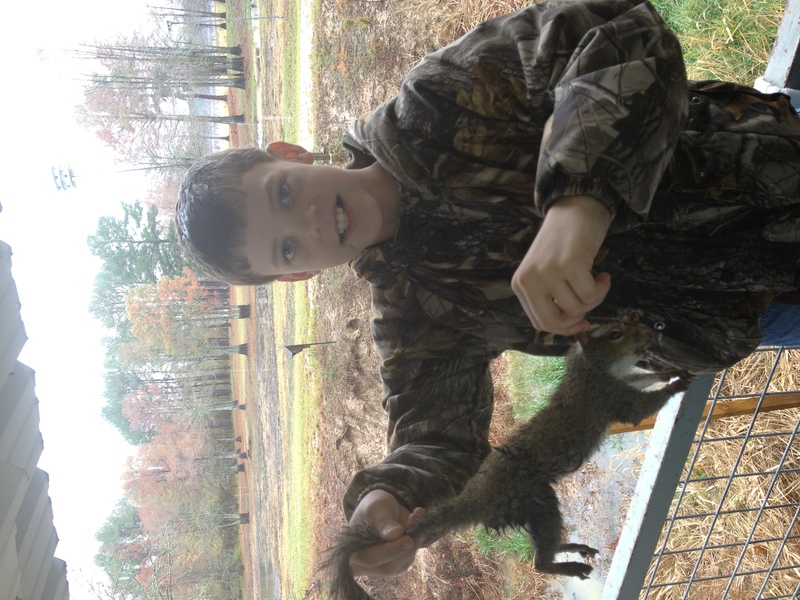 Our Jack Russell Terriers (four of them) stay as busy as possible killing them, but there are more squirrels than they can keep up with. Keep up the good work. It was also nice to see that you are skinning them, and using them, I hope, rather than letting them go to waste. Good for you! That’s the way to do it. D0 4M4Z1NG 7H1NG5! 1MPR3551V3 7H1NG5! My spell checker had trouble. Hwy 21 at Carrice Creek on Toledo Bend Lake looking East. 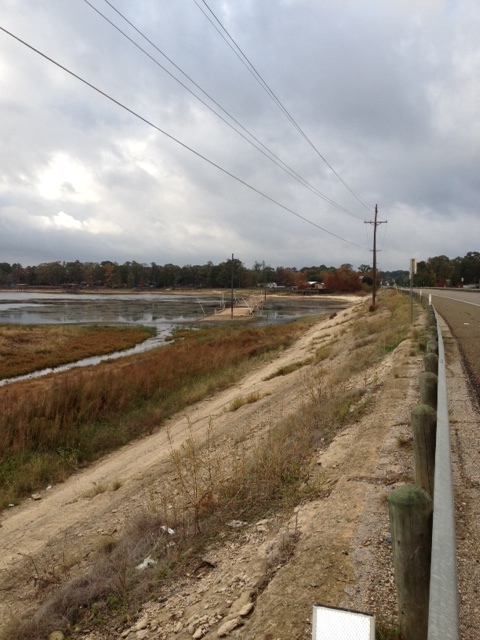 Looking West on Hwy 21 at Carrice Creek. a lot of things that ‘went under’ are now being exposed. 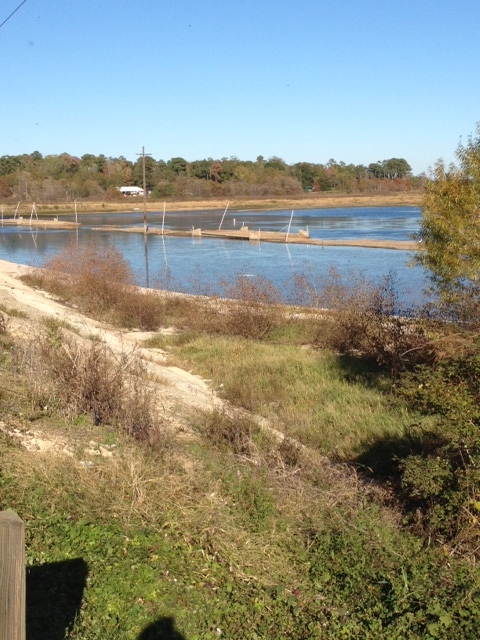 and without access to the main lake. 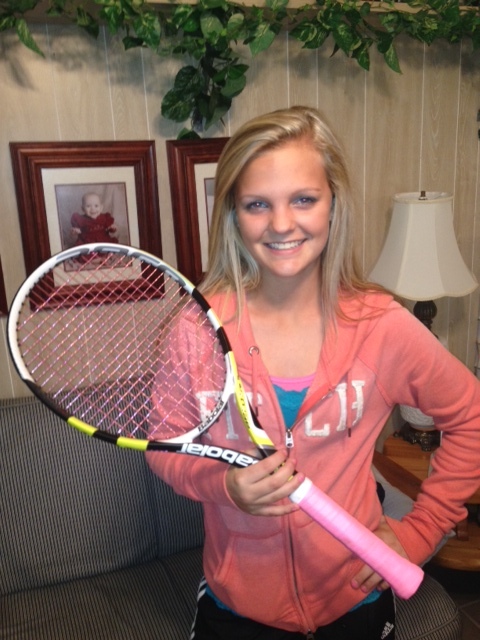 grand-daughter KJ is on her high school tennis team. Thanksgiving is one of my favorite holidays of the year. It is a day for family gatherings and is the most American holiday that we celebrate. Like the pilgrims of 1621, we should stop to give God thanks for His bountiful blessings. Sometimes we forget how blessed we all are to live in a free country where we can still worship as we choose. We can be thankful that we can till pray. Although we may have lost some of our freedom to pray publicly we can still pray privately and make our personal petitions and praises to God. One of my favorite Bible verses is “In everything, give thanks for this is the will of God in Christ Jesus concerning you” 1 Thessalonians 5:18. In every situation that we find ourselves, we can find a blessing from God if we take the time to look hard enough. I thank God for flowers, trees and all the beauties of nature that God has given to us. We can all be thankful for health and breath of life. Every morning when we wake up, we should take the time to thank God for allowing us to live one more day. Whether our health is good or bad, we can be thankful that we are still alive and feeling as well as we are. We can all be thankful for food and physical sustenance that we enjoy from day-to-day. 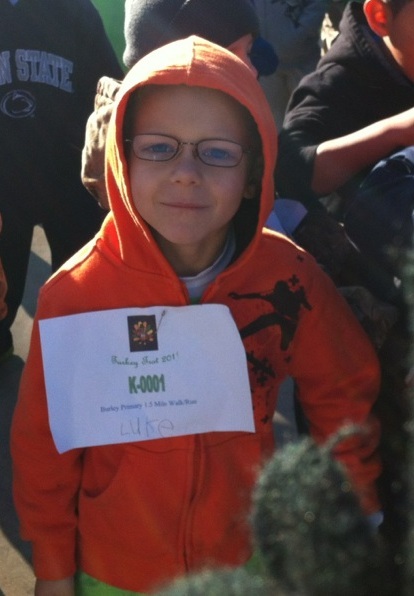 Luke ready to start the 1.5 mile marathon. Our school Burley Primary held a 1.5 mile run/walk fundraiser. This was done instead of the normal fall carnival that most schools hold. Each child asked for sponsors for the race. The time was set 8:30 to 10:30 am november 18. Each grade level came out to support each other plus the high school track team and radio station were there. The race started with kindergarten girls, then kindergarten boys, then first grade girls etc. The top 6 finishers of each division placed. The kids had been practicing or “conditioning” during PE. Parents and grandparents also came out to support their runner. Each class had a spot set up around the track that they sat and cheered when they were not running. It was supposed to be like a real marathon where people were cheering people on throughout the course. It was so fun to watch Luke. We may have found his sport. He didn’t stop the entire 1.5 miles. He was on a mission. He ended up placing 4th out of all 6 classes of kindergarten boys. He said he should’ve been third but he let Cooper pass him because he liked him. (if that is true then he picked the right kid to let pass him because it was the superintendent’s grandson that Luke said he let pass). Great grand-son Garrett stops by for a visit.